Install over a 2 A fuse inside the dashboard. Professional installation recommended. 12/24 Volt. 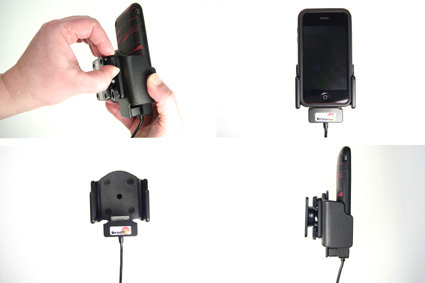 Attach onto ProClip Mounting Platform. 1. Apple iPhone 3G/3GS For all countries. 1. 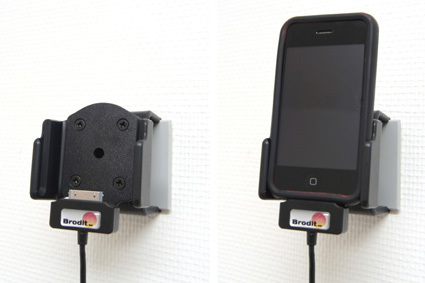 Loosen the screws on the back side of the holder, so the sides of the holders can be adjusted. Place the unit in the holder and press the sides together so the unit is firmly in place. 2. Screw on the screws on the back side of the holder. 3. 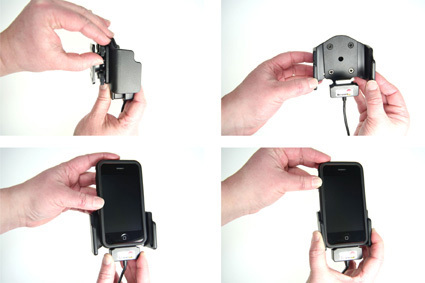 Loosen the screw in the center of the holder so you can remove the tilt swivel attaching plate on the back. 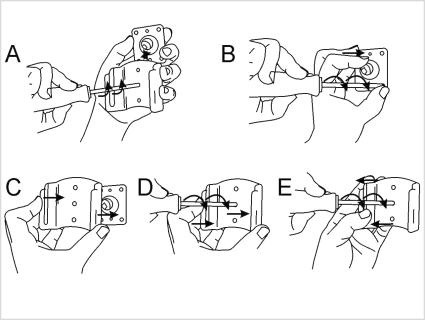 Place the attaching plate onto the desired position. Screw the attaching plate into place with the enclosed screws. Place the holder over the attaching plate so the screw fits in the hole in the tilt swivel. Screw a few turns on the screw, just so the thread starts to pull. Pull the holder toward you and hold it slightly tensed, in the same time tighten the screw so the holder is pulled toward the tilt swivel. Tighten the screw until the holder is firmly in place, but still can be adjusted.